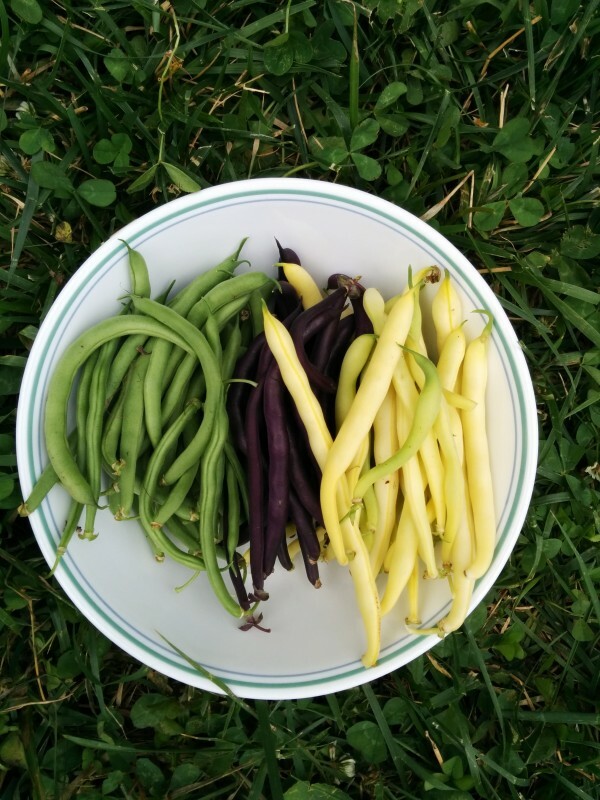 Three different kinds of beans go great in a stir fry. They all taste about the same, but add some visual appeal to a meal. The plants are quite full. At the height of the garden, she can easily harvest every other day. 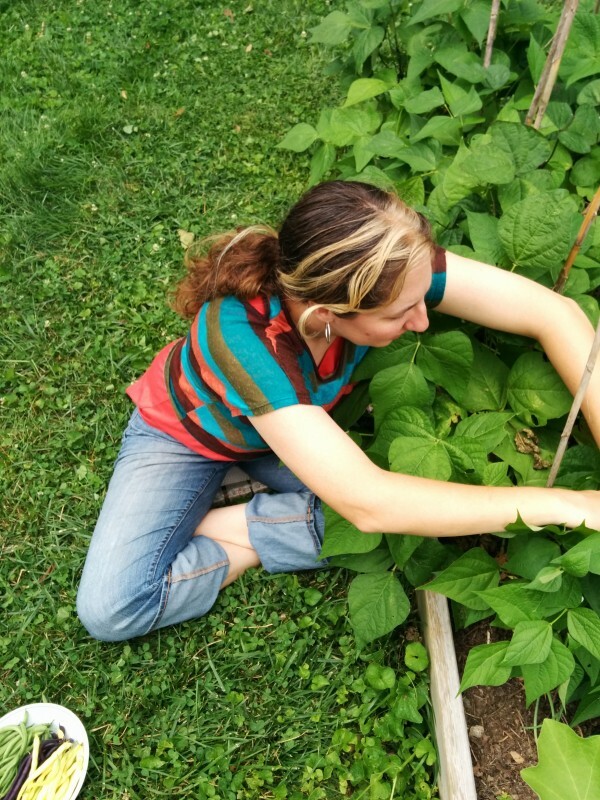 I find the green beans hard to harvest as they blend in, but Danelle is a pro! This entry was posted in Family and tagged Danelle, Garden. Bookmark the permalink.